A Picture Book: What Do I Do Next? I am looking for advice on publishing an LDS children’s book. My book is in the very early stages. I’ve written a first draft, and have an artist who has agreed to do illustrations. Everyone who has read the story has told me I should get it published (without me asking, and without them knowing I’m thinking about doing it). I’m just wondering if you have advice on the process of publishing an LDS childrens book. What publisher(s) do I send it to? In what format? Thank you very much. 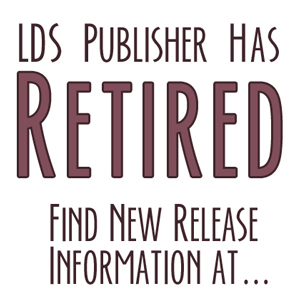 The children’s picture book market is a tough one—especially in the small LDS niche market. This is because, in general, the cost to print them is higher and the expected return on investment is less. To increase the likelihood of success, do your research. First, read a lot of picture books. Study the ones that are really popular and determine what makes them so. Second, write a unique story that lends itself to unique illustrations. Learn all you can about the process of publishing picture books. For example, did you know that most picture books are 32 pages long—and that includes the title page. Formatting for submitting a picture book is different than a standard fiction book. Research that so it’s easy for the editor to see where page breaks should occur. Also, most publishers hire their own illustrators. It’s rare that they’ll use your illustrator. Once you’re armed with a good story and knowledge of the industry, go to Deseret Book and look at the LDS picture books they have on the shelf. Write down the names of the publishers and then start submitting. Previous post: How’s that Story Coming?